There are many things to fear in this life: the enemies within and without. It has been many moons since Sergeant Todd John Jacobs has thought of himself as just TJ. No longer the young boy who had grown up as part of Homlin’s primary mission, Todd is now part of the elite Army Rangers. He’d hoped the Rangers would become his new home and family, but instead, he finds himself surrounded by chaos and intrigue. No stranger to adversity, his struggles to start a new life come up against some of his toughest enemies yet for they hide in the shadows. Facing the loss of his new life and identity, Todd finds himself caught up in a game much bigger than himself. Powerful forces have their eyes on Todd, lying in wait for him to slip up, as all humans are prone to do. However, Todd is no human, and he is far from ordinary. In the background, an elite team assembles, and life as he knows it will never be the same. 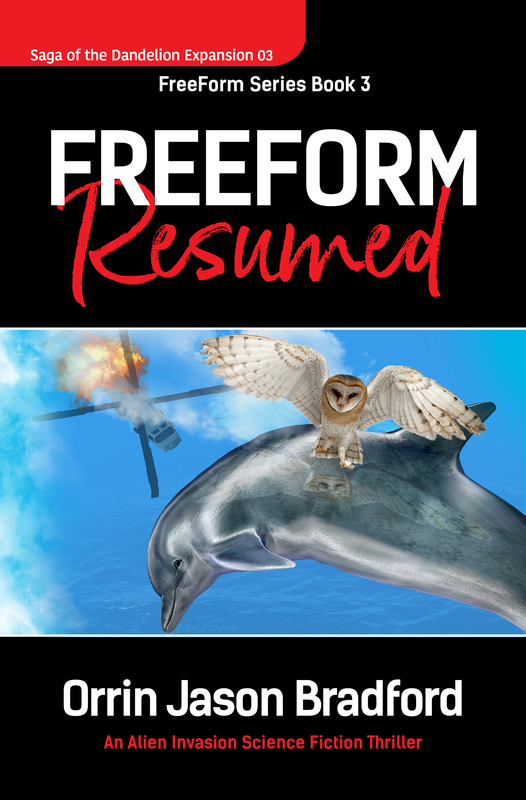 Orrin Jason Bradford’s style has been compared to the “early works of Dean Koontz and the late great Michael Crichton.” FreeForm Resumed is the third book in the FreeForm series and the third volume of the Saga of the Dandelion Expansion that includes the action-packed Kindred series. Available Now for Pre-order on Amazon.com. Click Here to read the opening chapter.